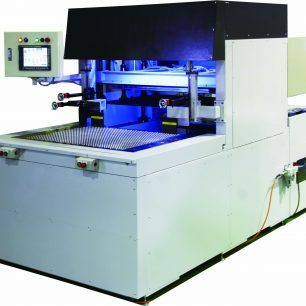 Includes Laserck’s CAD System for Quick Die Line “Spot Checking”! 5 Minute Job Changes – Compared to 25 to 30 Min. Make-readies On Competitive Offline Blanker Models/Offerings! Note: The UT Model Does Not Palletize of Skids Post-Blanking; See BLK, and CBL Models for this Unique Feature! For more information on this Laserck Master Blanker UT Offline Blanking System, click the “Get More info” button to the right. Or, view more details in the MFG PDF below.